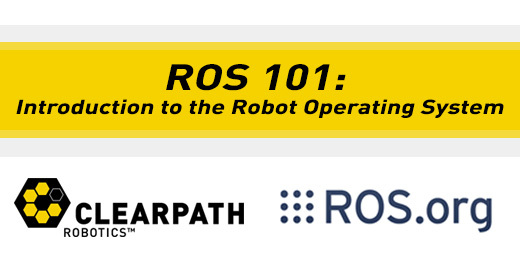 Throughout the rest of the tutorials, we will be referencing the ROS cheatsheet available here. Open a new Terminal Window (Ctrl + Alt + T). 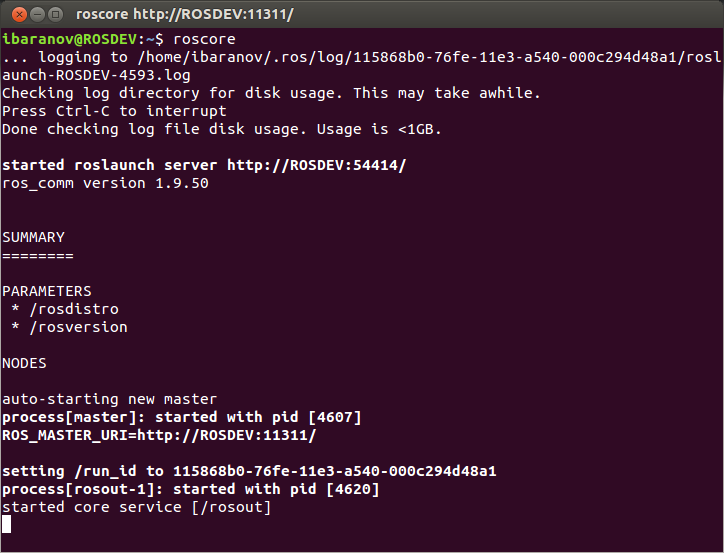 In the new terminal, type roscore (And press enter). This should produce something similar to the below. What you have just done is started the ROS Master as we described above. 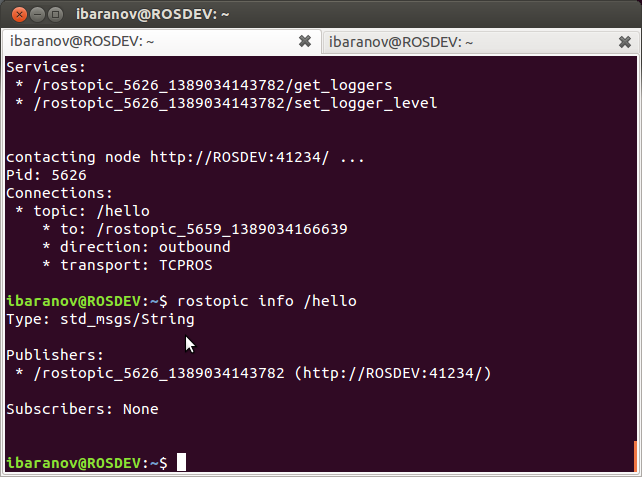 We can now experiment with some ROS commands. 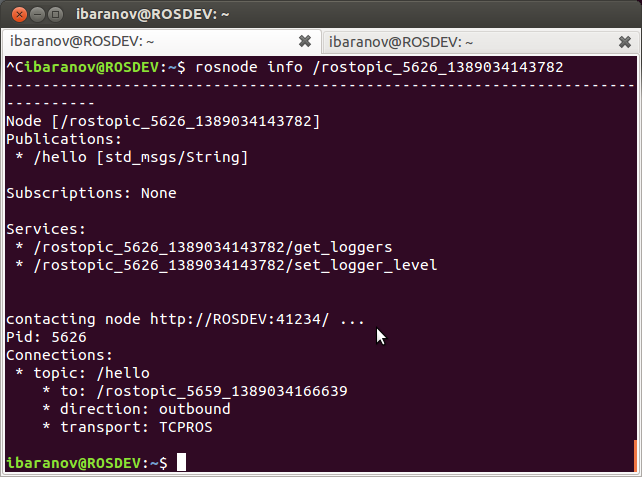 The two entries listed above are ROS’s built in way of reporting and aggregating debug messages in the system. What we want to do is publish and subscribe to a message. You can open a new Terminal again, or open a new tab on the same terminal window (Ctrl + Shift + T). Let’s break down the parts of that command. 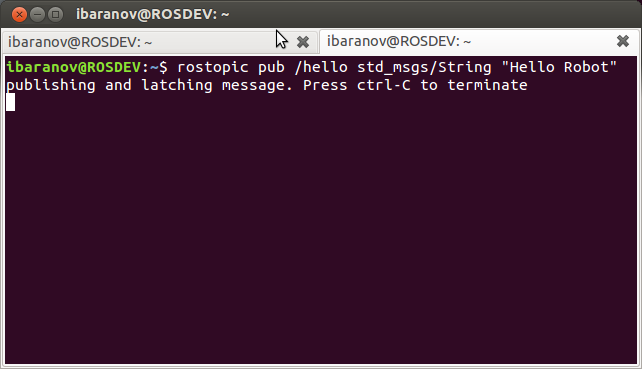 rostopic pub – This commands ROS to publish a new topic. std_msgs/String – This is the topic type. We want to publish a string topic. In our overview examples above, it was an image data type. “Hello Robot” – This is the actual data contained by the topic. I.E. the message itself. 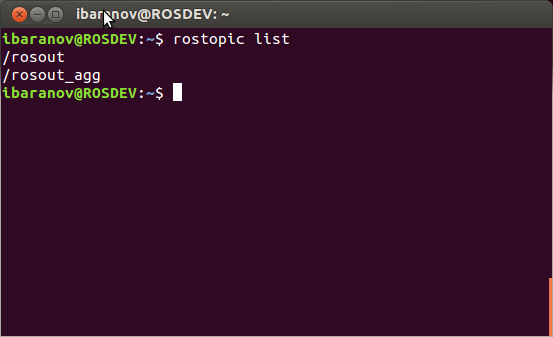 Going back to the previous Terminal, we can execute rostopic list again. We have now successfully published a topic with a message, and received that message. Type Ctrl + C to stop echoing the /hello topic. 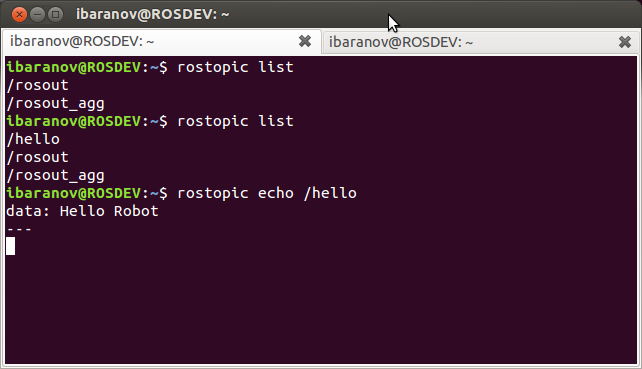 We can get info on our topic the same way, by typing rostopic info /hello. You will notice that the node listed under “Publishers:” is the same node we requested info about. 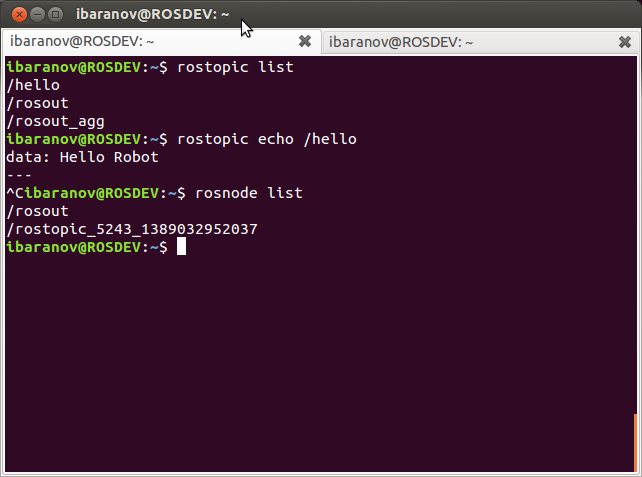 Up till now, we have covered the fundamentals of ROS, how to use rostopic, rosnode. Next time, we will compile a short example program, and try it out.